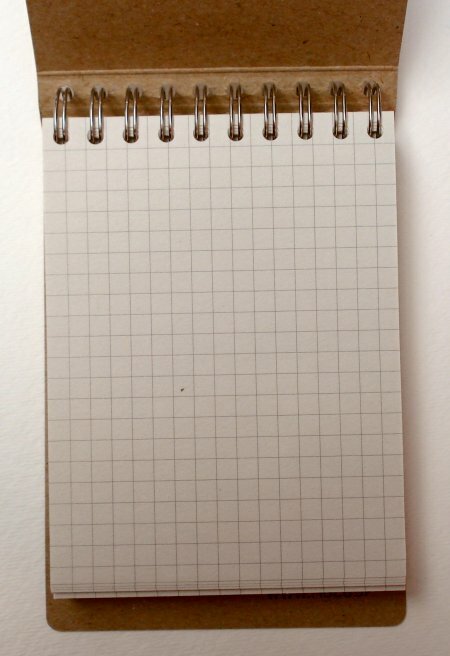 This is a super-lightweight yet fun and practical notebook. Made of cardboard with paper that is called “comic” (from comic books? ), it has a bright removable elastic band. It has that look of a found or reclaimed object, though there is clearly quite a bit of design in this functional notebook. It may be part of a larger movement that seems focused on used basic materials, yet incorporating design principles. The paper takes pencil without problem. A Pilot Petit1 fountain pen saturated the page to the other side, though didn’t noticeably feather. This notebook is very appealing to me. – This seems to be the manufacturer’s website. Yes, they make a nice looking line of notebooks. Where did you get the one above? Do they have a distributor in the U. S.? The lettering on the cover reminds me of the lettering on the sides of the boxes of merchandise I used to open as a housewares stockclerk. I like this sort of severe look. 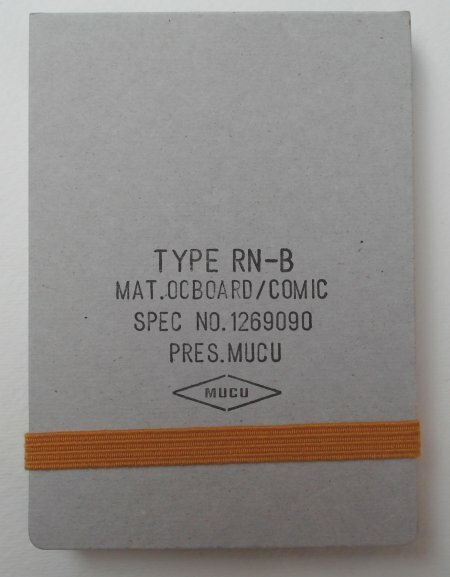 You can find mucu notebooks at atworkdesign.com, as well as a nice assortment of other small notebooks. $9.50 seems a bit much for this product.